The world is already awash in wine. But it appears almost inevitable, given the explosive growth of China’s vineyards, that western producers face competition from yet another lucrative class of exports: bulk wines, which China is gearing up to make in vast quantities at costs far below what traditional vintners can match. China now has 326,000 hectares of vineyards under cultivation, although the bulk of that isn’t in wine grapes. However, many of those vineyards are being rapidly converted. Cabernet Sauvignon grapes now represent more than 50 percent of new vines. The country has gone from a handful of wineries to more than 200 in three years. 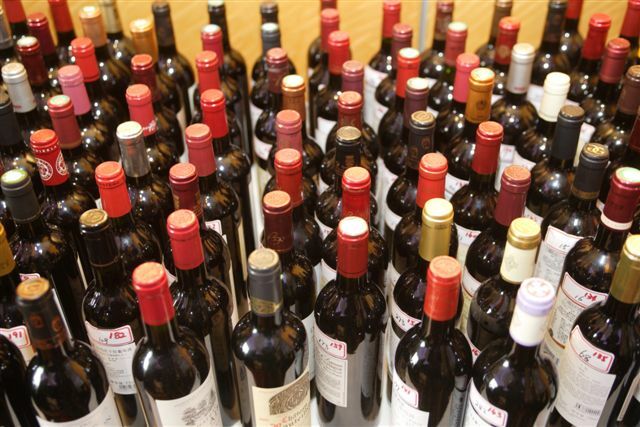 According to a report by a Shanghai-based speciality research firm, for instance, Xintian Winery, based in Xinjiang Province which markets wine under the Suntime label, has 10,000-hectares (or 24,000 acres) of grapes under cultivation – almost 2.5 times that of Delicato’s California vineyards. 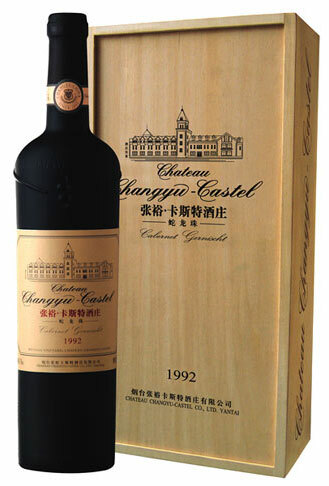 Zhou Hongjiang, the general manager of Changyu Pioneer Wine, located in Shandong Province and the Ningxia Hui Autonomous Region in the northwest of China, told China Daily in March that Changyu intends to expand its vineyards to 8,000 hectares, invest $12.3 million, and focus on high-end production. “We are investing more this year to cultivate the international market,” Zhou told the Daily. The threat may not be immediate, according to Indelicato. Grapes have been grown in China for 6,000 years and fortified grape wine has been made for uncountable years. But vintners are seeking to transplant a wine-drinking culture onto a country traditionally more attuned to rice-based wines and liquors. Today, Indelicato says, the Chinese are replanting their vines from raisins and table grapes. Obviously, a major question is quality. China has a lot of experience in trying to make luxury items that turn out to be far less desirable than their western counterparts, be it plastic Louis Vuitton bags or sturgeon. Huso dauricus, the same sturgeon that have been driven near extinction in the Caspian sea, frolic in the Amur River, the famed Black Dragon River flowing between China and Russia—or they did until a disastrous chemical spill last year threatened caviar exports, which are uncertain anyway because much of the secret of caviar is the way it is cured. There are Strasbourg geese fattening their livers in Shanghai and Sichuan, but the summer heat affects the texture of the foie gras. There are magnificent appearing black truffles—tartuffi—growing under ground in Yunnan and Sichuan, but while the aroma is superb, they largely have no taste and chefs use them for garnish, sneaking in a little truffle oil to give them flavor. Some 500 tonnes of porcini mushrooms are transported every year from China to the European Union and are often remarketed as Italian, not to mention chanterelles and morels as well, although often the sealed plastic containers sometimes are rife with bugs. There are cuisses de grenouilles—frogs’ legs—being exported from Fujian, Shantou, Hebei and Zhouhai to Europe. There is no threat anytime soon to the premium wine-growing regions of Napa or Bordeaux or the Barossa Valley in Australia from China’s wines. But to Delicato, one of the biggest bulk wine exporters in the world, seven to eight years down the road the threat will begin to materialize—not to the high-end connoisseur wines, but to bulk wines for less discerning palates. And, to California, that is a threat not to be minimized. According to the Wine Institute of California, the industry’s mouthpiece, wine is the state’s most valuable finished agricultural product, exceeding US$45 billion annually. Exports have expanded from US$196 million in 1994 to more than US$800 million today. Within five years, Indelicato says, China’s vintners will have replanted most of their vines. With one or two years after that, their products will have spent enough time in the vat for sale. “It’s only a matter of time,” he says. That is because the “premium” level of Chinese wines sold by Great Wall, Changyu and Dynasty sell for about RMB80 per bottle or perhaps 10 percent of a good California red. Less discerning wines sell for about US$1. They may not be able to hold a candle to western wines at this point, but according to Rose Murray Brown, writing in the Wine Spirit wine newsletter, China is increasingly thronged with western winemakers like Jerome Sabate, the French-born winemaker at the Dragon Seal winery, formerly owned by the French Pernod-Ricard interests. Grace Valley Vineyard brought in Bordelais winemaker Gerard Colin to focus on Bordeaux varietals and Chenin Blanc, Brown writes. Austrian Gerhard Markowitsch, works for Bodega Langes, a Hebei vineyard owned by Gernot Langes-Swarovski, whose family owns the Austrian crystal concern. In China, whose wine production is largely a mystery to the world, and whose most publicized labels draw sneers from connoisseurs, production is exploding. In total, China now has 326,000 hectares of vineyards under cultivation, although the bulk of that isn’t in wine grapes. That compares to 399,000 hectares under production in the U.S.,191,000 in Chile and 167,000 in Australia. Chinese quality isn’t rising nearly as fast as quantity. Wine authorities at this point regard most wines as plonk. There are good reasons. The care and technology produced by hundreds of years of winemaking in the west simply don’t exist in most Chinese vineyards. For instance, although most first-world vintners space their vines three meters apart and garden the space meticulously in between, the Chinese who don’t bottle their own wines but rather sell it to winemakers are likely to plant row crops in between, changing the water content of the grapes and raising humidity. The wineries pay the price in poor-quality grapes. And, aware of a dramatic rise in domestic consumption—up 17 percent in 2004—they often switch to grapes in areas where summer rainfall is too high, diluting sugar levels and changing the taste of the fruit. Also, according to Mattoni Magazine, a publication covering the cocktail and drink industry, lenient labeling laws allow products containing at least 50% grape juice to be sold as “Grape Wine”, leaving a lot of room for interpretation. “There are many anecdotes of cocktails consisting of colorants, grain alcohol, and bits of wine from various sources,” according to the article. For the most part, while mechanization is a long way off, some vintners are beginning to move to modern technology. Rongchen, near Beijing, which can produce 3,000 tonnes of wine annually, brought in fermenting and storage tank and de-stemming equipment from Italy and France. The winery uses imported French oak barrels. Rongchen is also going upmarket, selling some wines for as much as US$100 per bottle, catering to the rich and creating a niche market for itself—not in quality, perhaps, but in expense. But at this point, nobody realistically expects Chinese vintners to go after Stag’s Leap. The threat is to bulk wine—wine that comes in a box. Looked down upon ever since its inception, box wine now accounts for 15 to 20 percent of wine sales in California and is growing fast. Called a Scholle box, it was invented by William Scholle in Chicago in the 1950s to transport sulphuric acid for batteries. Despite its ominous beginnings, it appears to work fine for wine because of the inner plastic bladder with an attached tap. As the bladder shrinks as the wine drains out, it doesn’t let in air, which ruins wine. In a triumph of marketing over meaning, Delicato has renamed the Scholle bag a Bota Box, after the romantic goatskin wine bladders carried by Basque herdsmen in the Pyrenees Mountains. Delicato Family Vineyards exports bulk wine to roughly 40 countries and has been doing so for more than 20 years. Today, Delicato, established by Indelicato’s Italian immigrant grandfather Gaspare in the Sacramento-San Joaquin Valley in 1924, cultivates more than 10,000 acres of vineyards across the state.